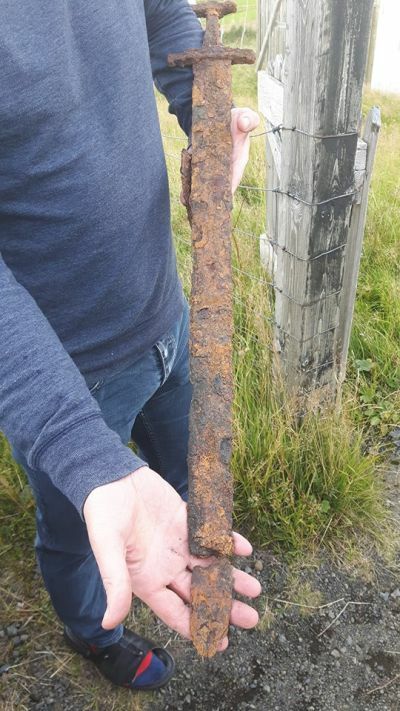 Goose hunters stumbling across a 1000-year old legendary Viking sword – while the premise sounds a bit like the start of an adventure movie, the scenario did take place at Skaftárhreppur, in the southern part of Iceland. This double-edged blade in question seems to be pretty well preserved, except for the tip that was broken off. Interestingly enough, the Viking sword does showcase a slightly curved profile, while the metal is corroded due to a millennium of rigorous exposure to outdoor elements. We date the sword at this stage to circa 950 AD or even prior to that. 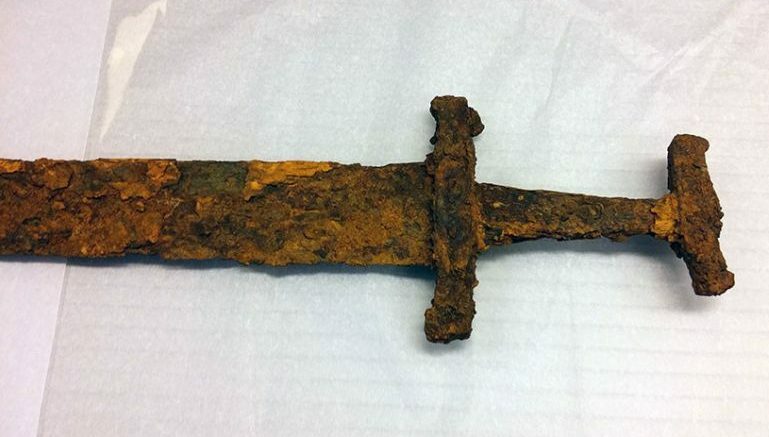 We are very excited here as this is only the 23rd sword from Viking times found in Iceland. There might be some remains of scabbard on the blade but we will know more about this when the conservators have done a thorough search. The goose hunters that found the sword discovered another object which we have not analyzed yet. Our archaeologists have now gone to evaluate whether this [area] is a pagan grave. 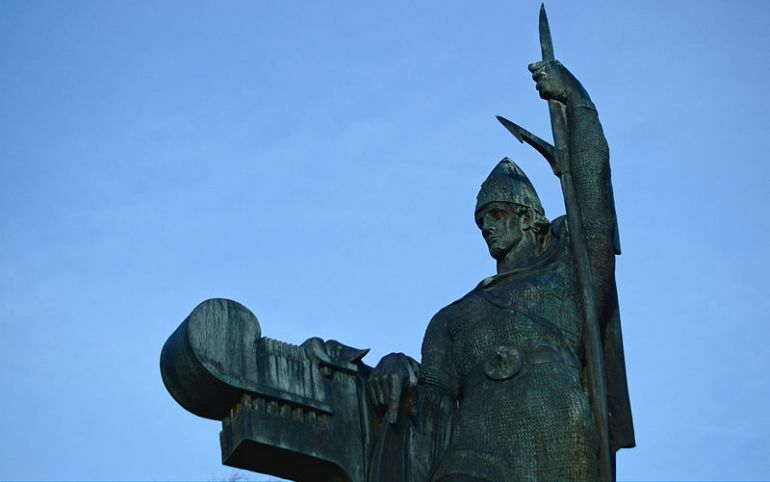 Statue of Ingólfr Arnarson by Einarr Jonsson.